It was not too long ago when PizzaExpress opened its first outlet in Singapore at Scotts Square just about a year ago and already this colossal pizza restaurant chain—with 600 outlets in the UK, Asia, the Middle East and in several parts of Europe—has opened its second outlet at Duo Galleria with a third one at Marina One on its way. 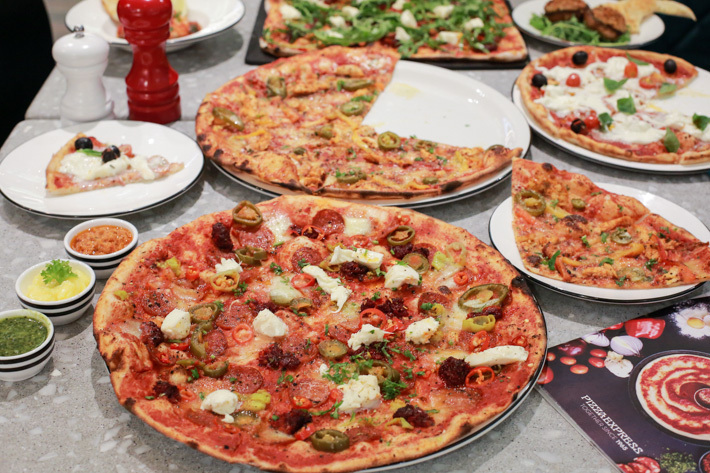 Founded in London more than 50 years ago, PizzaExpress specialises in gourmet, hand-made Italian pizza that even Italian palates will agree with. Quite contrary to its name, it really isn’t an “express” fast food chain. With so many years of expertise to its name, diners can expect nothing less than top-notch pizzas, pasta, salads and desserts. There are so many items to love at PizzaExpress and one trip is simply not enough! Read on to find out more about our favourites and must-tries. And you’d have to take a look at its new outlet at Duo Galleria. There are cosy al fresco seating, too! 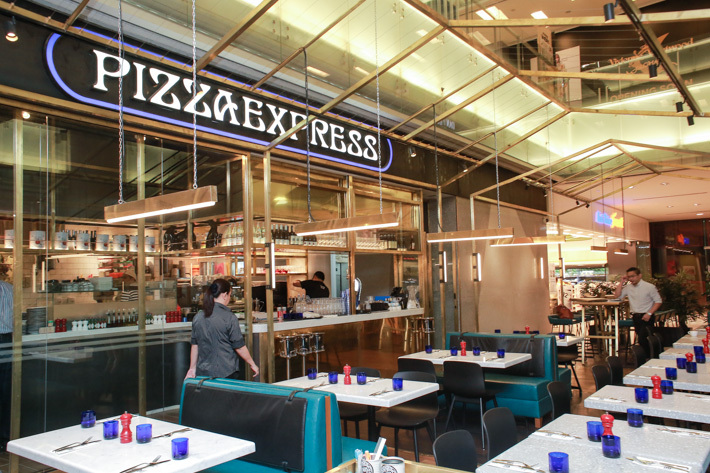 It is finally here – PizzaExpress is now open in Singapore, and it sits on the basement level of Scotts Square. The name should be no stranger to you as they have over 500 outlets in United Kingdom, various European countries, Hong Kong, India and the Middle East. Founder Peter Boizot created this wildly successful pizzeria chain because having tried and tested the best and most authentic pizzas during his holidays in Italy, he was unsatisfied with what he had in London. PizzaExpress was thus conceived in United Kingdom, with the notion of offering authentic Italian pizza outside of Italy to the masses. Having tried and loved PizzaExpress when we were in London, we are extremely stoked to have them here in our own country. We popped by for a preview and had a taste of their world-renowned pizzas – made from scratch in store with fresh ingredients. Besides pizzas, the menu is pretty much similar to that of U.K’s, with a whole range of salads, pastas and bite-size snacks. Most of the dishes on PizzaExpress’ menu are priced under S$20 – they are extremely reasonable for the quality and huge portions. 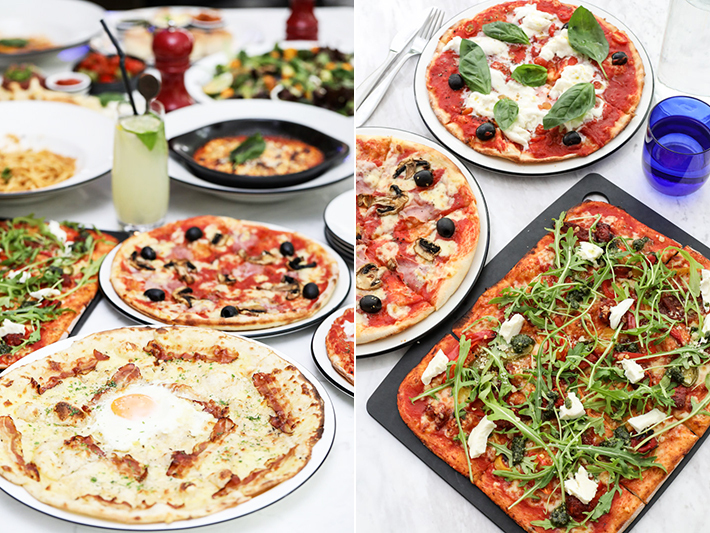 Here’s what you can expect from PizzaExpress’s first outlet in Singapore – which is officially opening its doors to the public this coming Friday (29 July 2016).